Alzheimer’s is a neurodegenerative disease that affects memory, thinking and behaviour. In Canada, one out of every 13 adults between the ages of 65 and 74 are affected by Alzheimer's disease and that number rises to one in four after the age of 85. With the number of Canadians affected by Alzheimer’s disease expected to increase over the next decade, continued research into dementia is critical. Western University’s BrainsCAN initiative is transforming the way brain disorders, including dementia are understood, diagnosed and treated through high impact brain research. Dr. Jane Rylett is a Western University neuroscientist and a BrainsCAN-aligned researcher, internationally recognized for her contributions to Alzheimer’s disease research. In this Q&A, Dr. Rylett answers some common questions about Alzheimer’s disease. What happens to a brain with Alzheimer’s? Very early on, before Alzheimer’s symptoms begin to appear, there is change in the tissue structure within the brain. There might be amyloid buildup, oxidative and nitroxide stress, or inflammation in the brain. All of these can lead to a change where nerve cells in the brain don’t work as efficiently, and the communication between nerve cells is reduced. This can happen years, or even decades before someone has memory problems. As it progresses, amyloid plaques and tangles build in the brain. There’s also a loss of nerve cells and the brain starts to shrink. Eventually, it gets to be too much and symptoms, including memory problems appear. When someone with Alzheimer’s loses memories, are those memories permanently lost? For someone with Alzheimer’s, retrieval of memories, words or names can be an issue. A person may forget a name at one point in time and then remember it sometime later. Not being able to recall a memory doesn’t mean that it’s lost. The problem is retrieving those memories, which are stored in our synaptic connections. However, sooner or later with something like Alzheimer’s disease, you actually lose nerve cells and their connections. Once you’ve lost a certain number of nerve cells and connections, and the brain shrinks enough that you’ve got irreparable damage, then that information can be lost. Why have recent Alzheimer’s drug trials failed? There are three drugs used to treat symptoms of Alzheimer’s on the Canadian market that work by promoting communication by acetylcholine from cholinergic nerve cells. These drugs work quite well for some dementia patients for a period of time, but the problem is that these drugs do not change the underlying course of the disease. Several drugs tested in clinical trials have failed, but not necessarily because they’re the wrong drug. The issue is that people begin to develop changes in the brain long before clinical symptoms of memory loss appear. So, if the drug is meant to prevent damage in the brain, the question is, when do you start drug trials when you do not know if someone will get dementia? It likely needs to be when someone is healthy and not yet showing symptoms, but changes in the brain are already taking place. This is what makes drug trials for Alzheimer’s so complicated. What does the latest research tell us about Alzheimer’s? A lot of research is currently underway to determine the underlying factors that cause Alzheimer’s. One area of focus is whether inflammation in the brain plays an active and early role in the development of the disease and how this might be treated. There is also growing interest in whether other health issues can be linked to Alzheimer’s. For example, someone may have diabetes, high blood pressure, depression or other vascular diseases and these may predispose them to, or increase their risk of developing neurodegeneration associated with dementia. The good news is that research shows certain lifestyle choices such as a healthy diet, exercise and social interaction help reduce the rate of progression of some Alzheimer’s symptoms. While we know that maintaining a healthy lifestyle does not entirely prevent dementia, we do know that it can help reduce other health problems while keeping our brains healthy longer. 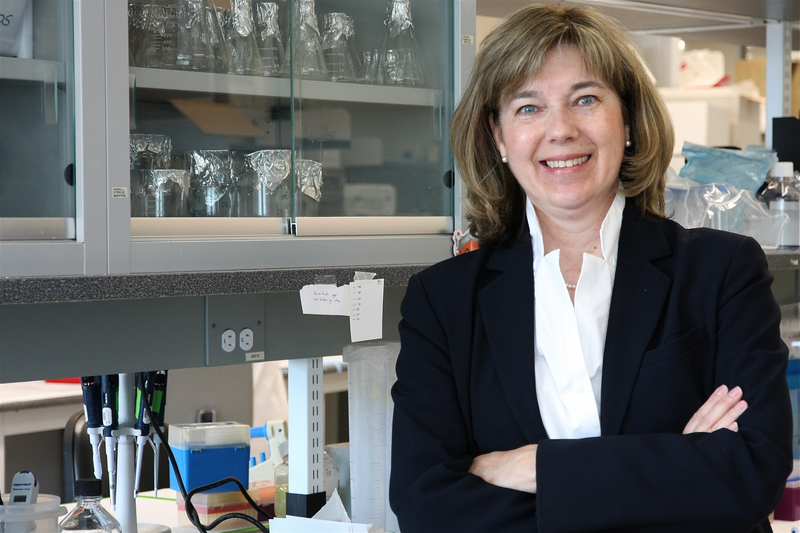 Dr. Rylett is a Distinguished University Professor in the Department of Physiology and Pharmacology at the Schulich School of Medicine & Dentistry, a scientist at Robarts Research Institute, an Associate Dean and a BrainsCAN-aligned researcher.